One night over dinner, about thirty years ago, my father was feeling philosophical. He started talking about events that happen in your life that change you. Not just for a while, or in some superficial way – but change who you are. He told me about how his sister’s husband had died suddenly of a heart attack – which I remembered had happened when I was about nine. That would have made my father still in his thirties. He said he was the one who had to tell my uncle’s mother that her son was dead. He said it was the most difficult thing he had ever done, and that it changed him forever. I asked him what he thought were the three most life-changing events in his life. Interesting though that here was a man who fought in a war when he was just a kid, and earned two purple hearts, and I’m sure saw some horrific things – but telling an old woman her son was dead was harder. And Dad asked me what my three most significant events were. Now I was only in my early thirties – still not married, still struggling to find a career. I hadn’t really experienced that much of life. But I didn’t have to consider it for long. I knew what events had changed me. My father scoffed a bit at my mention of The Beatles. But I defended my choices. Those events – including the phenomenon that was The Beatles – transformed the way I looked at the world. The Beatles changed our culture – they made it possible young people to question the status quo. And I did. Vietnam made me question what adults were telling me. I understood for the first time that important people can be wrong. People with power lie. And the first change of all was Kennedy’s assassination. I adored Kennedy. His death was the most shocking event I had ever experienced. And I experienced it in my home. His death was personal. Evil was in my living room. I saw Oswald murdered. I was twelve. It has been fifty years. Those days in November are as clear to me as when I was that little girl – stunned and bewildered in front of the TV. The person that I am – the one who always needs to know WHY – was formed on November 22, 1963. I wrote a poem recently for my other blog, With Resistance. And today, it seems appropriate to share it with you. Lovely poetry, Nancy. I was 2 and so don’t remember it, but there has been plenty to remember since. Different time. Different world. I didn’t see that coming: And so he died for me / In June / And not November. I like this poem a LOT, Nancy. Great closing, another death.. It did feel like I lived through it twice. First in November, and then again in the summer when I suddenly accepted it. I clearly remember that day too. Even here in Canada it rocked our world. 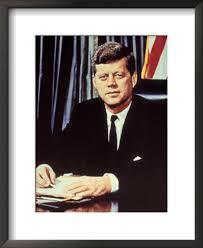 I was in grade 6; sitting in the classroom at school when someone in the school office turned on the loudspeaker and we heard the radio announcer tell us that President Kennedy had been shot. I was in seventh grade in parochial school. A nun ran into our classroom crying and told us all that Kennedy was dead and that we should all run home. Great post and great poem. I was a little girl in rural Canada when Kennedy was assinated, and his death really affected me and everyone around me, so I can only imagine what it was like for the children in the US. I watched the coverage on our black and white television and I cried along with all the broadcasters and American people that were interviewed or filmed, but it was when Oswald was killed that I began to question what was really happening in the world. As far as I remember this was when I left a chunk of my childhood behind and began to question news reports and reporters and the white and black views offered not only on my television screen but also by most of the adults who talked about these events. I also began to suspect that there were many shades of grey in the world which were not being shared with me or with any ‘regular’ people who held no power. Funny thing how many of us, Americans or not, remember those events as if they were just shown on last night’s news. The Vietman War didn’t influence my world-view as much at the time…I was so young and it happened ‘over there’, until my American cousins became worried about being drafted and then Kent State University made the headlines…then I became very aware of the politics that were playing with peoples’ lives. When my cousin’s boyfriend, a CANADIAN, for goodness sakes, volunteered to join the US Army and went to Vietnam, I thought he was certifiably insane and should have been protected from himself. He survived, came home with no injuries and married my cousin at the house I grew up in….but to this day I don’t understand what drove him to go fight. And the Beatles–well, I was not one of the screaming, crying, hysterical young women who fainted at the mere sight or sound of their voices (although I am more that way now if it concerns Mumford and Sons). But I did love their songs and I played along to them while strumming a badminton racket–(and unfortunately, somewhere there is a picture to prove it). The Beatles opened many doors for our generation (and many legs, too, I imagine), so I totally agree with you that they were influential for their time…and once again we saw violence take a life long before it should have dimmed. Thanks for sharing your post, Nancy…lots to think about. Your memories are similar to mine. We didn’t leave the television for days on end. We watched day and night. When Oswald was shot before my eyes, I went into a kind of denial. My teacher has us kids all make scrapbooks so we would remember everything, I threw mine away. I was the only kid in class without a book. She could have given me a failing grade. But she never even mentioned it. Your choices were right on for our generation. I think I would choose the same three. My sister Beth had to tell our cousin Maureen, aged 10, that her father had died. That was, she always said, the hardest thing she had to do. Beth was 17 at the time. How hard that must have been for your young sister- I can’t even imagine it. And in the thirty years since that conversation with my father, there have been other events that have changed me significantly – but tthose original three would still rank very high. Especially Kennedy’s death. I agree. Kennedy’s death really changed the world. And so it had to change us in its wake. Being silly is a part of being alive but I can see the realities in this posting, and your account on this most memorable subject matter is worthy of your time and effort. Firstly I would like to say how courageous your father must have been to win two Purple Hearts, it is something that he probably never mentions and yet something that is special and deserving a mention in my comment. To be honest it is sometimes rather difficult to pinpoint just three memorable times in one’s life but your fathers and equally your own recollections are fitting in the authenticity of one’s life, and these experiences highlight these choices. Thanks for your comments. My father never mentioned his purple hearts. We knew he had earned them but he never spoke of them. I know he was in the Battle of the Bulge, and one of his purple hearts was earned then. My Dad was an amazing man – I can truthfully say that I never heard him speak an unkind word about anyone. In Europe, we had crusty old men, who had already screwed up the world, running the show and all young eyes looked to America and Kennedy to see a vibrant, optimistic charaismatic President who briefly gave us some hope. That hope was dashed 50 years ago today. Being older and wiser and tainted with cynicism JFK still looks good to me. My perception may be distorted by how young I was – I have certainly read enough now to know that Kennedy was far from perfect – but I remember his energy and optimism inspiring the whole country. I was five and in the first grade when Kennedy was killed. Strange how some things stay with us forever. Vietnam was a huge part of our lives during my childhood and into my teen years. Kennedy and Vietnam bookended me, how I defined my views in many way. Your poem was wonderfully done. Thank you for sharing it. Thanks, Val. I always hope that bad things at least inspire us to be better people. Your poem is great. What an impact that one horrific incident has had on our country. It was difficult to explain to my children how traumatic it was and how the entire country cried openly, until 9/11. Then they understood. In 1963, it was the weekend we lost our innocence and optimism. Vivid memories. The loss of innocence at exactly that moment is what remains with me. It tortures me sometimes that we still don’t know. I guess I’m older than most of your readers since I was married and had children when Kennedy was shot. He died on my youngest son’s 7th birthday. I also saw Oswald shot. I was in my mother’s living room watching tv and couldn’t believe my eyes. And the day of the assassination I remember Walter Cronkite choking back tears…memories that will always be with me. My husband said he felt as if he had a hole in his heart….I think that described the entire country. Very well said. Thank you for adding your adult memories to my childhood ones. It helps complete the picture. Everything stands out about that weekend – and the following long days of denial and acceptance – but especially for me it was Oswald’s shooting. It was completely overwhelming to me at ten – I had seen someone die. I was a senior in high school and only 50 miles from Dallas. I remember so many things about that day, but most of all my mom coming home from our store early to be there when we got home from school. I remember watching the adults cry. It worried me. Up to that point I had only seen adults cry when my grandmother died. But they cried for the President. Elyse, The tears were flowing in our Canadian living room as well. I was six and it was the first time I had seen my Mom cry. She wept and it broke my little girl heart. It was the shot that changed our world and how we saw it…much like 9/11. I, too, saw Oswald shot on “live” tv (in the same room with your reader, June, who left a comment above…June is my sister, and I didn’t realize she was one of your followers!). I agree that those 3 things you mentioned as changing your life would probably be my 3 too.